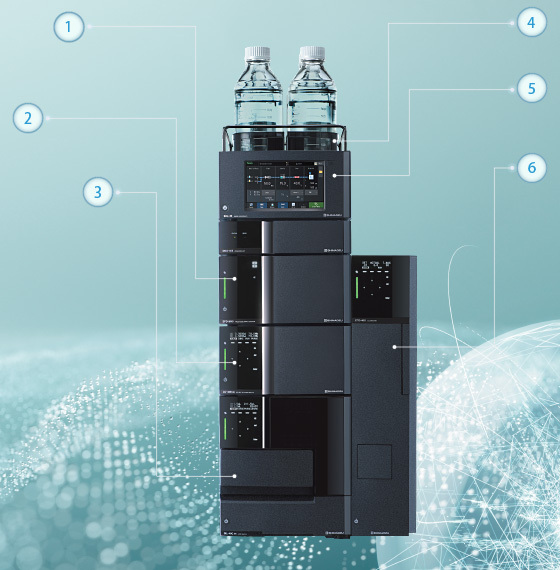 Shimadzu has long been advancing the analytical performance of HPLC systems. At the same time, we recognize that overall efficiency depends not only on the performance of one instrument, but on the management of all devices within a lab. This realization leads us to now, a time in which AI capabilities have been incorporated to allow devices to detect and resolve issues automatically. In addition, lab management has ben integrated using the Internet of Things (IoT) and device networking, making it simple to review the status of instruments and optimize resource allocation. 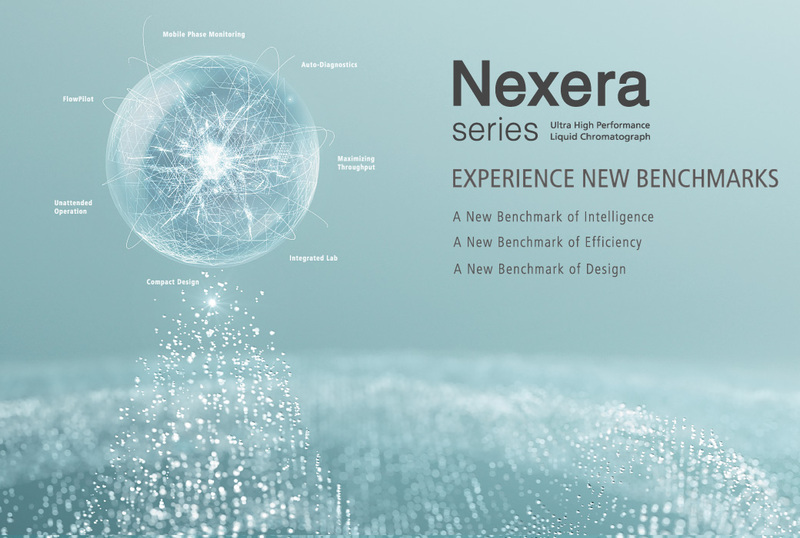 Building upon 40 years of experience in LC technology, the Nexera series is a family of HPLC systems that marries these AI and IoT enhancements to set new industry. Temperature control improves performance stability. Analytical data is linked to information about consumables to ensure traceability. Auto-diagnostics to detect problems during analysis, and an auto-recovery function. Reduces space requirements with a dual solvent delivery system. The injection speed is twice as fast as previous models, shorte ning multi-analyte processing times. Can perform continuous analysis on up to 44 microtiter plates. High reproducibility and ultra-low carryover for micro-volume injections. Automated sample preparation functions such as diluting samples, adding internal standards, and performing derivatization reactions, reduce labor. Reservoir tray weight sensors monitor the remaining mobile phase in real time. Supports remote monitoring via a smart device. Mobile phases can be purged and baselines checked easily via the touch panel. Injection count, analysis pressure, and other column information is automatically managed. Easy column attach/detach mechanism prevents peak broadening. LabSolutions monitors column degradation level based on usage history.